Learn more about vinyl stickers and how to apply. Vinyl wall stickers are a new trend growing more and more in Australia, Europe and the USA thanks to their versatility and appealing designs. Vinyl wall decals are made of low tack adhesive, a very thin material which won't leave any marks on your wall upon removal. They're the ideal solution for those who are renting an apartment or house and have limited decorating options, in fact, in most cases, you won't be allowed to paint or put nails to hang paintings. Our wall stickers are a great solution to decorate your living space without having to pick up a paintbrush or hammer any nails. 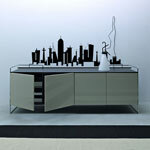 With our range of decorative decals everybody will be able to transform their bleak walls into a new, modern space. They're very easy to apply and they're suitable for every age and taste: in our wide collection you'll find hundreds of wall stickers for kids! They'll love the decals, and when they get tired of them, you will simply remove them without any damage! 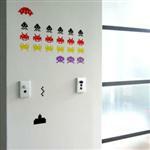 The possibilities with our wall stickers are infinite! They can be applied not only to walls but on every clean, smooth surface like window glass, doors, bathroom tiles, mirrors or even your car or laptop! We love custom designs, please visit our custom page if you would like a personalized project. We have different colours to choose from, just select your preference from the drop down menu beside the design you selected. So, don't wait any longer, decorate your home with our wall decals! 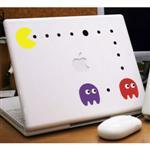 With our vinyl decals you can create a new look in minutes! Unlike paint or wallpaper, you won't need the help of a professional to put them up. You just have to decide where you want your stickers to be on the wall, draw some marks with a pencil, then start sticking! You have endless opportunities with vinyl decals, you can choose the colour you prefer from our palette and you can arrange the shapes on your wall as you like. Keep in mind that the same design can come in different colours and give a complete different feel to the room according to the colour you have chosen! Here are some tips on how to decorate your space! 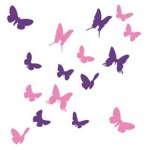 Girls love pastel tones like pink and violet, butterflies, cute animals and flowery themes! 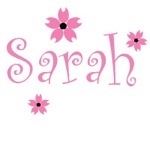 You can for example, decide to combine some flowers with the name of your girl that we can custom make for you. If you're decorating your boy's bedroom or playroom, you can go for bold and bright colours like green, blue and yellow. And videogames of course! 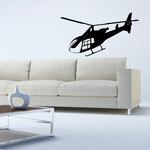 We have a range of elegant wall decals more suitable for a “grown up” public. 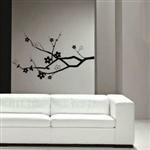 The cherry branch wall decal looks amazing on any sofa or bed; with its size it fills up the wall creating a very stylish ambience. 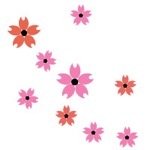 Floral Falls is our favorite wall stickers since you can create your own composition arranging flowers and petals, plus, you can select your combination of colours. If you want to add a playful touch to your living space, just go for our Fatty Birds: they look so funny standing on a light switch, on a window frame or door frame! If you want to personalize your room you can consider lettering decals as well: black words on a white wall are always fascinating, and with us, you have the opportunity of transforming your favorite song or poem into a wall decal!